The Glamorgan IT room is now closed to support the creation of a Student Hub for the schools of Social Sciences and Planning & Geography. 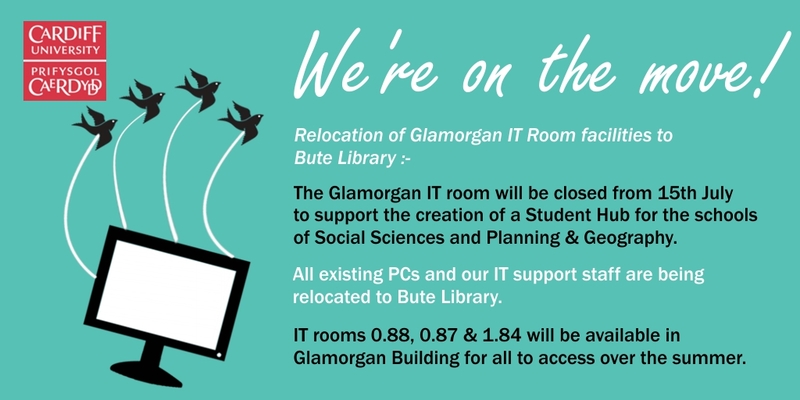 All existing PCs and our IT support staff are being relocated to Bute Library where an all new laptop hire service will also be installed. IT rooms 0.88, 0.87 & 1.84 will be available in Glamorgan Building for all to access over the summer as well as our existing IT facilities in the Bute Library.